Leon Frazer has been constructing equity portfolios for over seven decades, adhering to a belief that companies with the ability to not only pay dividends but grow their dividends afford investors the best opportunities for long-term returns. In 2011, our dividend strategy was handsomely rewarded as LFA portfolios handily outperformed Canadian benchmark indices. While governments teeter on insolvency, corporations are flush with cash; cash that will most likely find its way back to shareholders. Corporate balance sheets are historically healthy–the capacity to pay dividends is as good as it has ever been. Corporate profits remain strong and are not expected to decline anytime soon. Despite earnings growth slowing, profits continue to go up, providing the fuel for further dividend growth. There is significant room to raise dividends even if profits do not grow. 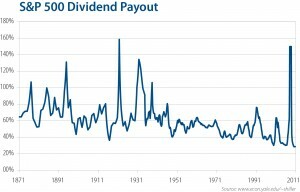 The payout ratio (percentage of earnings paid to shareholders in dividends), is at a 140-year low. At a level currently under 30% of earnings, the S&P 500 payout ratio could double and still be below the 61% average through history. 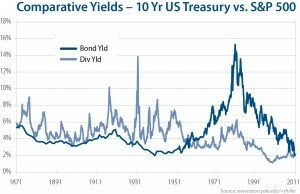 Dividend yields could double without any change to the level of the market, further limiting downside risk. 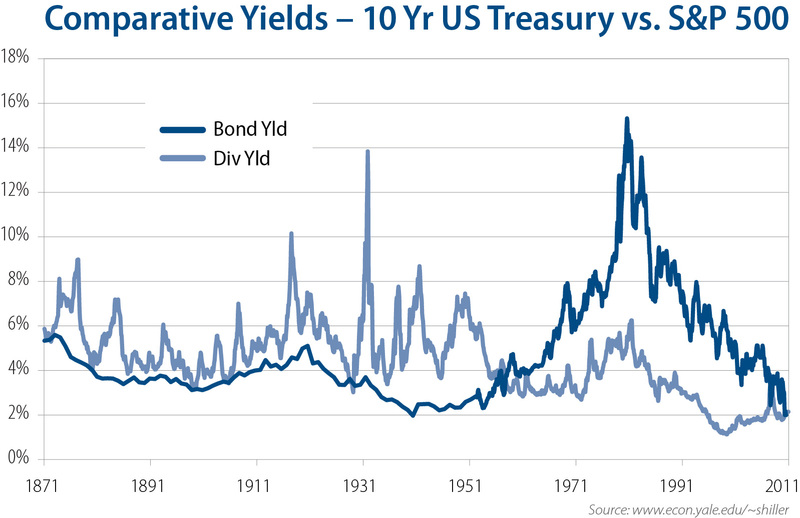 Finally, there is a demographic play going on in which market participants are gravitating towards investments that carry yields. In a nutshell, soon-to-be-retired baby-boom investors are shifting their preferences away from growth stocks to income stocks. One market pundit is even suggesting dividend-paying stocks become their own separate asset class. In Canada, where dividends are taxed more favourably than interest, the case for dividend investing is even more compelling. In a low-return environment, we like the fact we can earn close to half of our expected long-term total return with bird-in-the-hand dividend income. 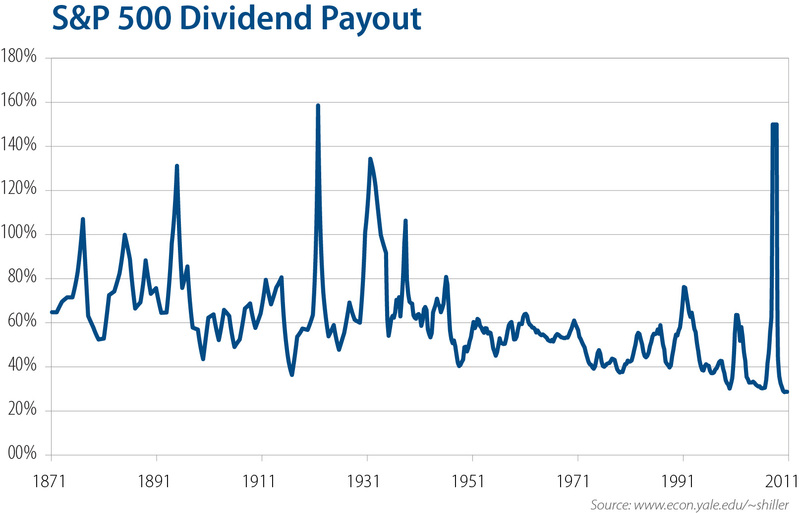 Despite the macro uncertainties, the market for dividend growing stocks remains as good as it has been in a very, very long time.